Celebrating the 150th anniversary year of its Chamber Street building in Edinburgh, The National Museum of Scotland’s the new galleries are the latest in a series developments, which began to take shape in the summer of 2011 when the museum reopened following a three-year, £50m redevelopment. 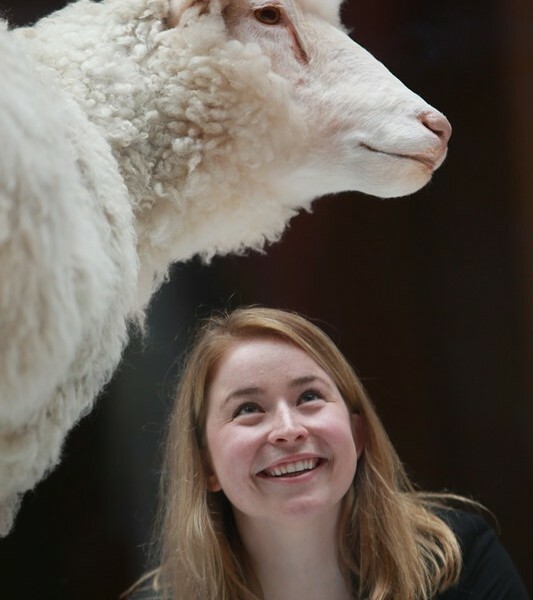 Since then it has welcomed more than eight million visitors, making it the most popular museum in the country outside of London for the past five years in the Association of Leading Visitor Attractions’ league table. The new galleries are the penultimate phase of the masterplan with £3m now being raised for the next and final phase, which will create two new galleries to showcase internationally important Ancient Egypt and East Asian collections opening in 2018. To coincide with the opening of ten new galleries, and the National Museum of Scotland’s 150th year, a piazza has been created in front of the Museum on Chambers Street, Edinburgh, providing a new public space for the capital and revitalising one of the city’s iconic thoroughfares. 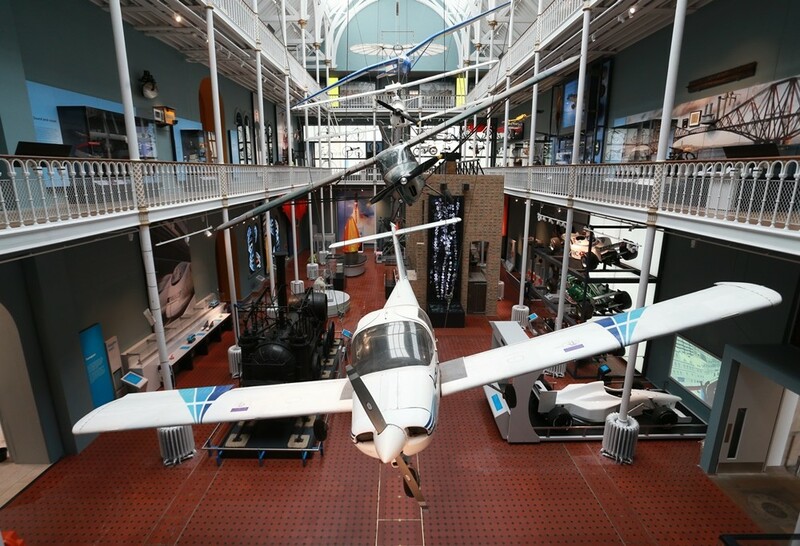 This £700,000 transformation has been achieved by a public/private partnership involving the City of Edinburgh Council, National Museums Scotland Charitable Trust, the University of Edinburgh, Edinburgh World Heritage and a group of generous private donors. Created in collaboration with award-winning practice Hoskins Architects and exhibition specialists Metaphor, the innovative new galleries encourage visitors to take a journey of discovery. The redevelopment has also restores Grade A listed Victorian museum’s original layout and sightlines. More than 3,000 objects are now on display across the new galleries, three-quarters of which have not been shown for at least a generation. Visitors will experience the collections like never before, with in-depth information provided through a network of digital labels, audio visual programmes, a wide range of interactive exhibits and original working machines – totalling more than 150 interactive exhibits and 24 ‘firsts’ – displayed throughout the new galleries, including the world’s first bionic arm, Dolly The Sheep, the oldest British aircraft, and the original ‘speaking clock’. 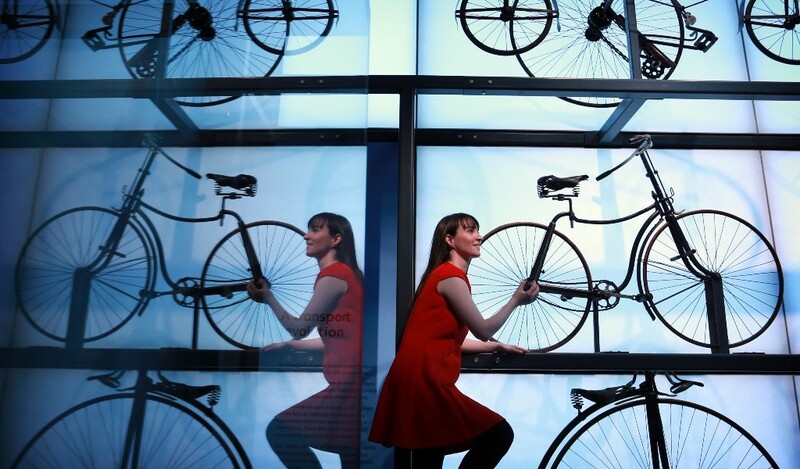 A suite of six new Science and Technology galleries are the UK’s most comprehensive outside London, and establish the National Museum of Scotland as a key centre for science engagement. 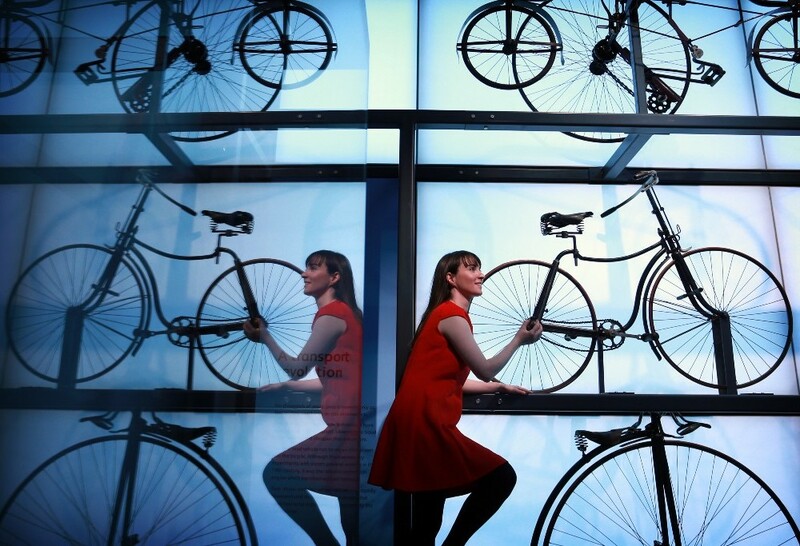 The galleries feature objects covering over 250 years of enquiry and innovation, with worldwide resonance in areas as diverse as engineering, medicine, transport, communication, physics and chemistry. 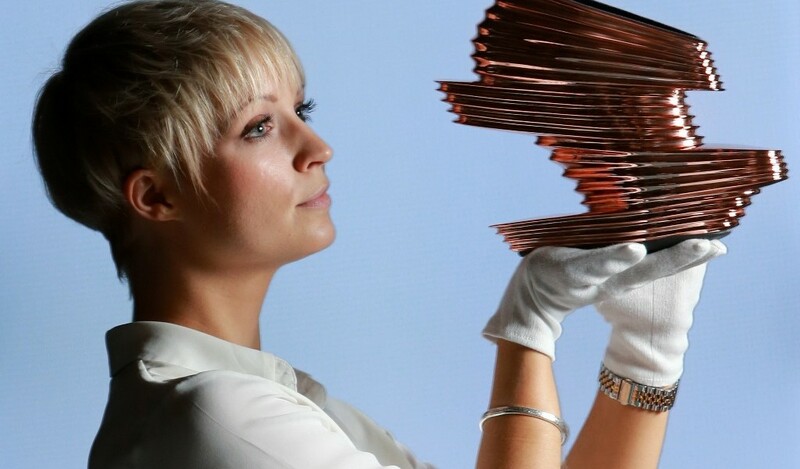 Highlights include one of the two oldest railway locomotives in the world; a 2-tonne Copper Cavity from CERN’s Large Electron Positron Collider; three Formula 1 racing cars, including David Coulthard’s Red Bull team car; an Apple-1, one of the world’s first personal home computers; the world’s first pneumatic tyre, developed in Scotland by John Boyd Dunlop; Britain’s oldest motorcycle; one of John Logie Baird’s earliest televisions; as well as ground-breaking contemporary initiatives like the world’s first bionic arm and a mouse kidney grown from stem cells. Major funding from Wellcome has enabled a new focus on biomedical science. 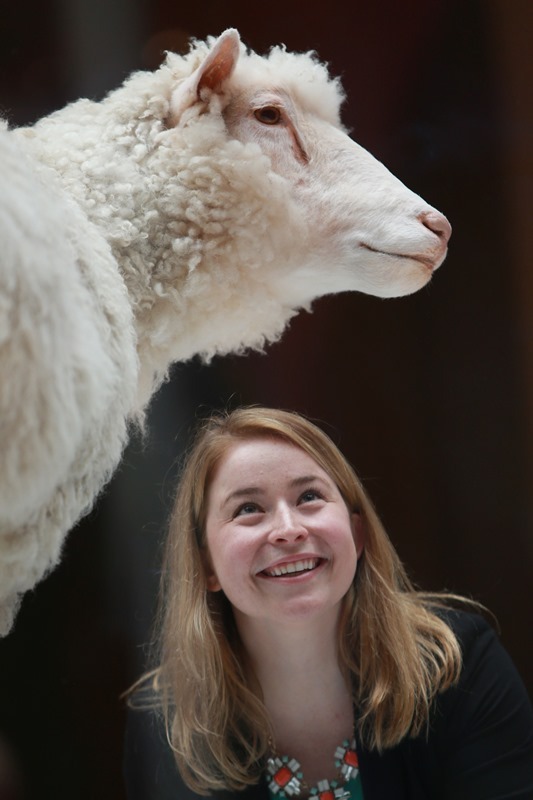 The topics covered include the science of genetics with Dolly the sheep, the development of new pharmaceuticals and advances in prosthetics and body implants. Key objects include medals awarded to: Sir Alexander Fleming for the discovery of penicillin; Sir David Jack for developing asthma inhalers and Sir James Black for his invention of the first successful beta-blocker and modern anti-ulcer drug. 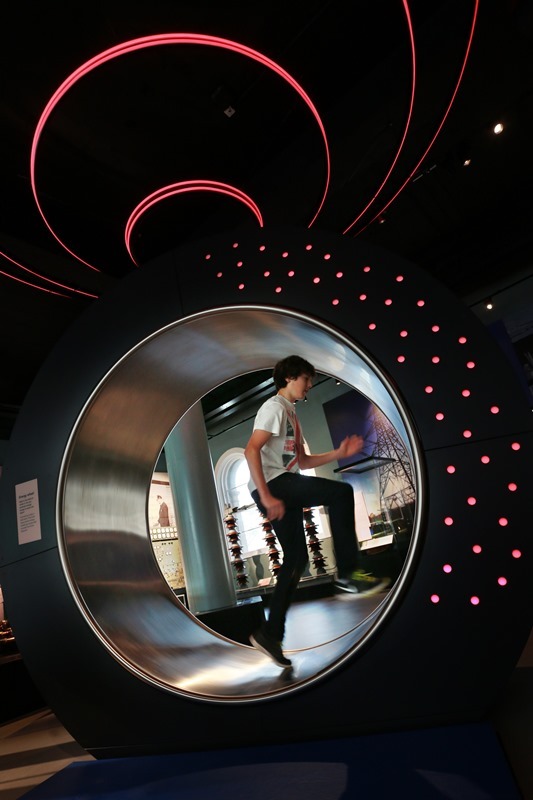 “Scotland has been and remains a global leader in medicine and bioscience, and Wellcome is proud to support the new galleries at the National Museum of Scotland which reflect this history of world-class research and innovation,” said Simon Chaplin, Director of Culture and Society at Wellcome. All the displays aim to offer an enjoyable and inspiring experience, enabling visitors to discover the past, present and potential futures. 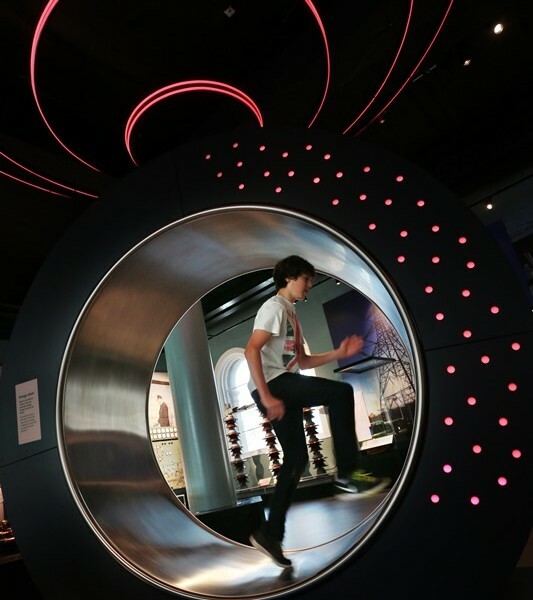 Children and adults alike can enjoy memorable hands-on activities, including newly restored nineteenth-century working engineering models; a Formula 1 racing car simulator; working hot-air balloons; and a human-sized hamster wheel which visitors can drive to generate illuminating electricity. 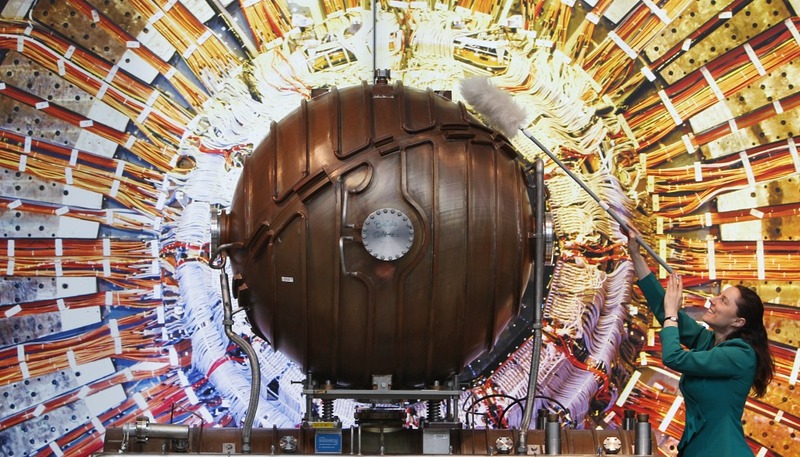 The displays will be supported by an extensive new programme of activities and events providing deeper engagement with the science collections and scientific issues. Treasures in the four new Art, Design and Fashion galleries showcase excellence, creativity and innovation from precious medieval gothic treasures to the work of today’s leading names in contemporary craft, design and fashion they provide a broad and fascinating picture of British, European and international artistic achievement and enterprise. Three of the galleries span sculpture, metalwork, ceramics, glass, furniture and woodwork. 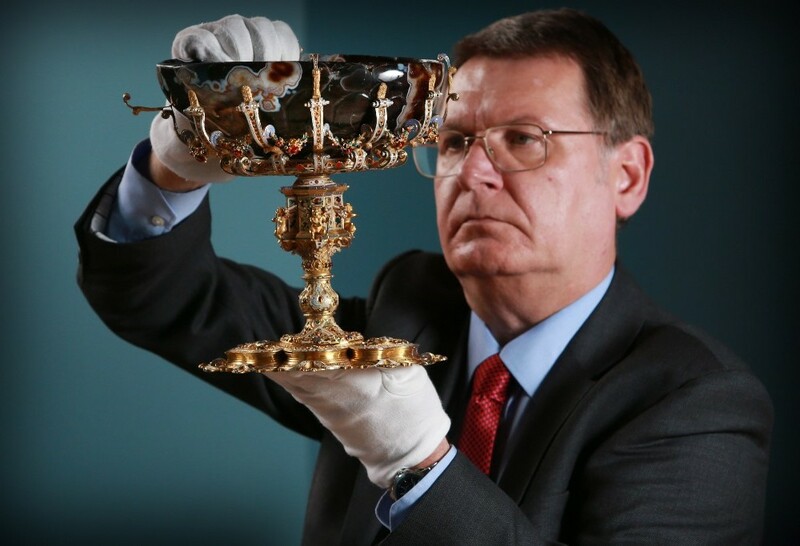 Highlights include pieces by Picasso; an ornate panelled wall from Hamilton Palace, once one of the greatest treasure houses in Europe; the 17th century Kinghorne table carpet from Glamis Castle; rolls of hand-printed 19th century panoramic French wallpaper never before displayed; and the travelling-set of Princess Pauline Borghese, given to her by her brother the Emperor Napoleon. 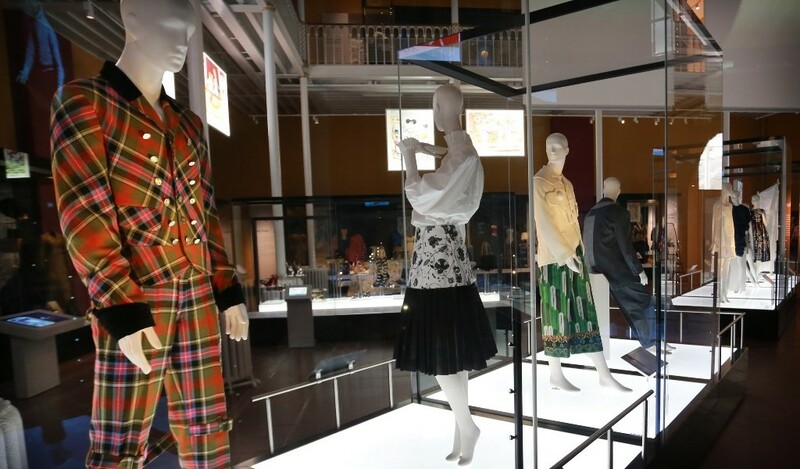 A landmark new Fashion and Style gallery displays key items from National Museums Scotland’s world-class collection of fashion and textiles. 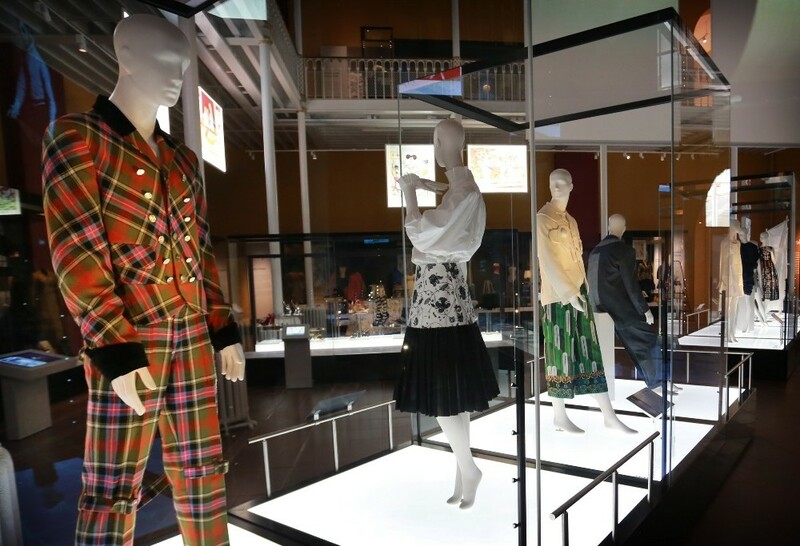 Its dramatic presentation showcases clothing and accessories from the 17th century to the present day, with a central ‘catwalk’ celebrating significant designers like Vivienne Westwood, Paco Rabanne and Comme des Garçons. 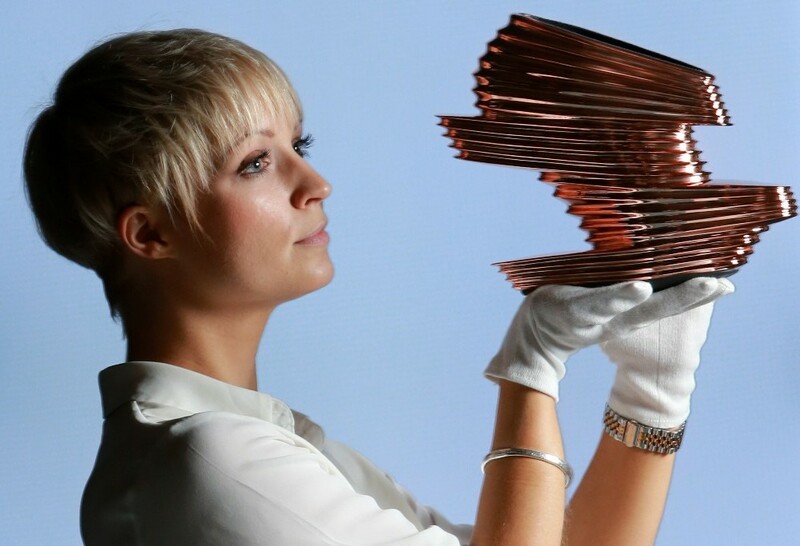 Highlights also include items from the celebrated Jean Muir collection – one of the largest fashion designer archives held by any museum in the world – as well as items from the wardrobe of Frances Farquharson, the 1930s Fashion Editor of Vogue, known for her flamboyant style. HLF has recently announced its initial support for the next and final phase of the Museum’s Masterplan, with an award of a First Round Pass for a grant of £950,000. 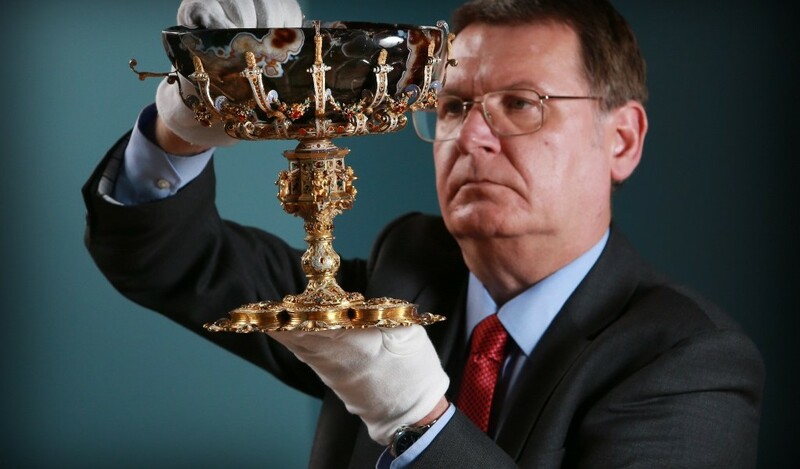 In 2014 the Heritage Lottery Fund pledged £4.85 million towards the project.